Plenty of surrounding free parking. There is no other community like Éilan. From its design and accommodations, to its people, to its commitment to sustainable and enjoyable living, to all of the amenities and services that it offers. Piatti is proud to be part of this new work/live/play/shop/dine community where respect for the land meets modern demands and expectations for a higher quality of life. The food is consistently good. We have experienced very slow service the past couple of visits. It took quite a while for our server to greet us and then another long wait to receive our drinks. Our food was delicious and the outdoor atmosphere is nice and quiet. This outweighs the slow service. Our food was outstanding and so was our server, Dani. 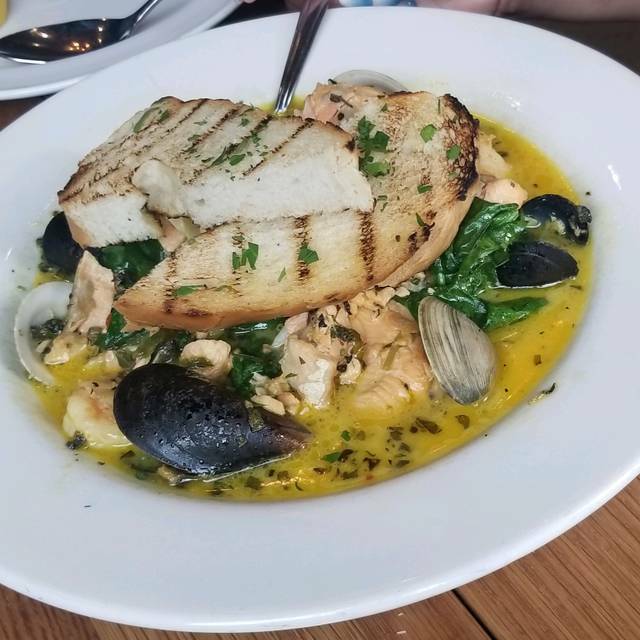 We can’t wait to go back and try some more dishes! The bread was truly amazing. Can’t stop thinking about it. Pasta dishes seem very fresh. There is a a separate healthy or fit menu which was a plus ... even if I nibbled on the bread. Did I mention the bread?? My only minor complaint would be being seated directly in front of the open kitchen. My clothes just soaked up the smells. A little overpowering. I’d go back! 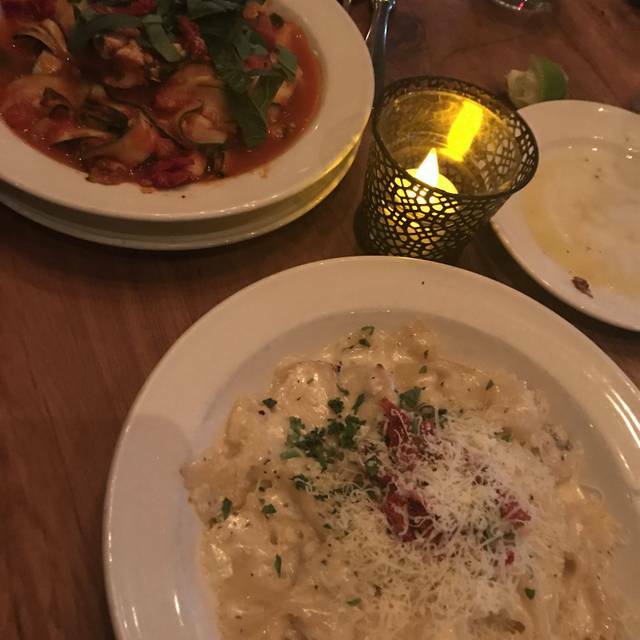 We go to Piatti's at least once a month and LOVE it. Really long wait for our food. Server was getting upset about the time it took. I have been to this location several times and always had a great meal In the past. This experience was terrible. We had a reservation and were sat in the bar at a high top table. Food was way over salted. Service was terrible, did not off bread, nor explained any specials. Food took 1 hour to get to our table. I been here before and I used to love it. I was impressed and wanted to leave. They gave us complementary dessert. Still bad experience. It was not what inordered the waiter did not listen to me and the other people found their food to be bland. Great environment and excellent food. 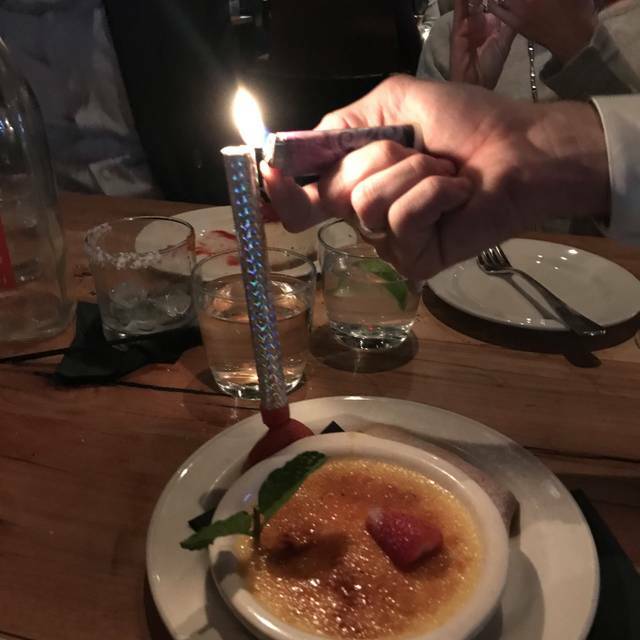 Loved the special touch of adding Happy Birthday to the menu. Only complaint was that food took a while to come out... waited about 15-30 min after appetizers to get the main course. 10 minutes before any waiter came to the table. After that it was fine. 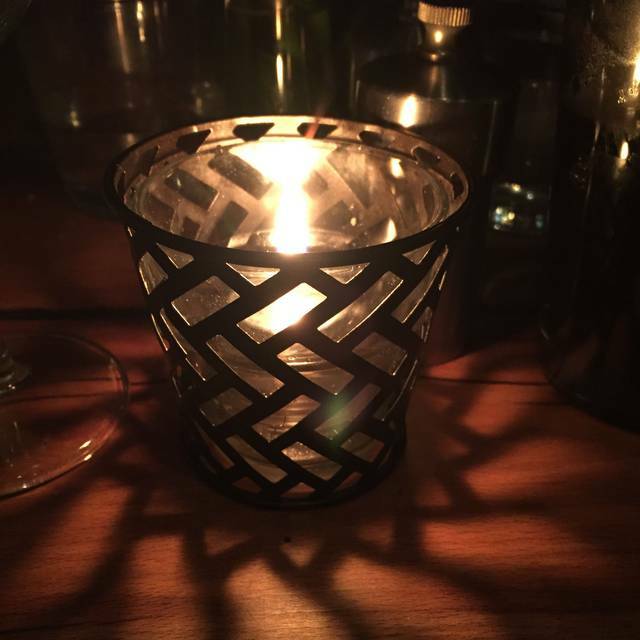 My go-to, whether dining at the bar or having a celebration in the dining area. Dustin, Danielle, Miguel and Daniel always treat me right. Actually, I haven’t had a bad experience with anyone. One of my favorite places in town. 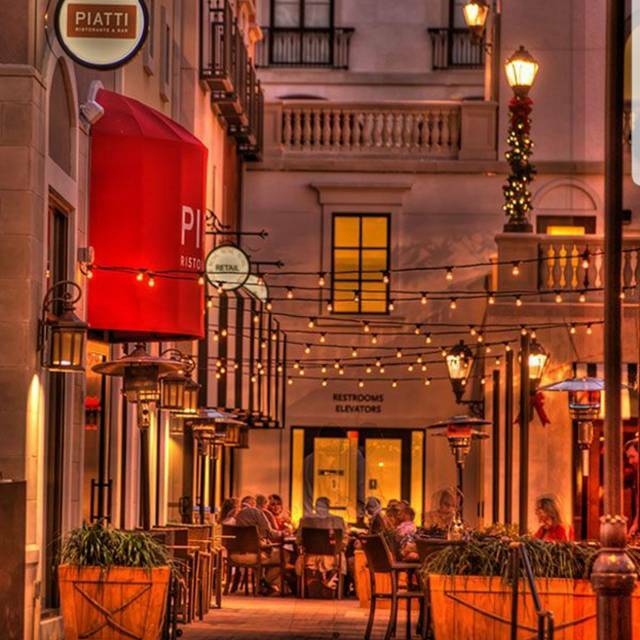 Some of the best memories of celebrations with friends and family have been created at Piatti’s. Love the food and ambience. The food and the service was excellent. The restaurant is nice and beautiful, it’s relaxing, the noise level was moderate and the parking was easy and convenient. And even had complimentary valet parking. Recommend for Friday Lent as menu offered additional seafood specials like Flounder and seafood lasagna (very yummy). Service was specular. Restaurant was very busy, but the manager handled the volume well and was helping servers. It was a wonderful atmosphere with great customer service and delicious food. They went above and beyond for our anniversary. We spent 4 days around La Canterra on spring break and every night ate a different restaurant. This was the best one and not the most expensive one. 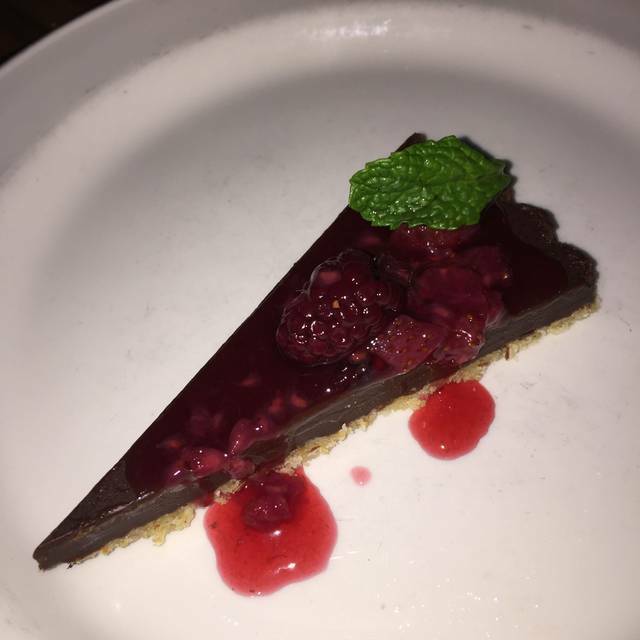 Piatti consistently delivers a great overall experience. Good food, reasonable prices, and great drinks. Every time we have gone the service is great and food is delivered quickly and hot. Kudos to Piatti for doing a great job. The dish I ordered (spiraled squash) was not prepared the same way as when I first tried it. It was delicious -- this time it was mediocre at best -- I didn't even finish it. :( Didn't have enough sauce; the squash was not spiraled 'with care' appeared to have been rushed. The dish had large pieces of squash 'sticks' not spiraled. More important it did not appear to have been made with pride and tastiness as my first experience with this dish. everything else was fine. Great place to wine and dine... Great all around place to eat and entertain your date... Definitely will visit again!!! First off, the decor is fantastic. It struck all the right notes by being sleek and modern as well as rustic at the same time. The red mood lighting on the walls was a nice touch as well. Furthermore, the food was excellent (though a tad pricy), and the service was friendly and efficient for our larger party. Overall, fantastic experience. I met a business associate for lunch, it was a thoroughly positive experience for us both. Great food and atmosphere. The location is beautiful as well. My experience was extremely negative. I arrived about 10 before my reservation and I checked in with the host. They told me that a table would be ready soon but people that had finished were not leaving so I would have to wait. At about 20 minutes after our reservation time and after several tables were seated, I went back to the host stand and the new host told me that I was never checked in and that she would check but there were no tables available. The host told me that I should have made sure that I was checked in properly. At about 30 minutes after our reservation time, the host came back to tell me that they were waiting on a bar top table to pay and we could have that if we wanted to wait longer but she did not know when that would be. I told her to cancel my reservation and I left. The next day I got an email from Open Table that I had been a no show and that I needed to be respectful of the restaurants time. This is the worst booking experience I’ve ever had though this app and in general. We decided to leave La Cantera for a meal and someone suggested Piatti. It was less than stellar. 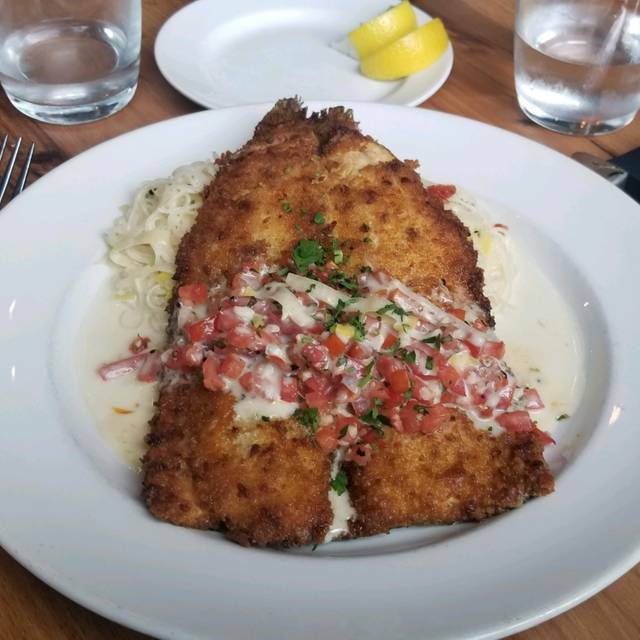 Kids meal was forgotten and overpriced at $10 for plain spaghetti, didn’t offer a child drink or make us aware of included dessert, trout was oversized and unappetizing and overall service was lacking. The manager seemed indifferent when it was brought to his attention. We definitely would not return. Bread is steaming hot and delicious, sweetest waitresses (especially Danielle), and best Alfredo ever! I never order Alfredo because I normally can make something comparable but not Piati’s; one of a kind and not too saucy. Always a great idea! I reserved my table on opentable and when I arrived the hostess informed me it was for an outdoor table and I would have to wait 20 minutes for a table inside. Then, my food was given to the wrong table and then the server brought it to me. Very unsanitary ! The food was mediocre compared to previous visits. Nice location. it was my wife's birthday and we were surprised to see this on the menu "Happy Birthday Marcela" . If you want to see the same you need to make a reservation online. 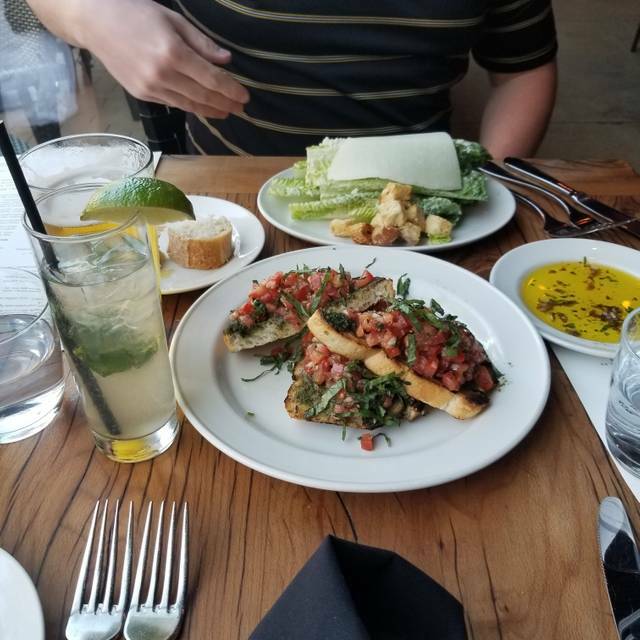 Bursts and flatbread was delicious! Our reservations was on a Sunday night for a party of 7. We were seated promptly. The restaurant is located in a pleasant, upscale area and parking was across the street. The food was OK but the service was sluggish. Overall, the experience was just OK. My wife says that it was the 2nd time she has eaten there and her experience was the same for both visits. She does not want to go back. Delicious food and great atmosphere. It was extremely loud because there were many huge parties celebrating an occasion. This place is amazing! The ambiance sets for a nice romantic evening or for a nice family casual experience. 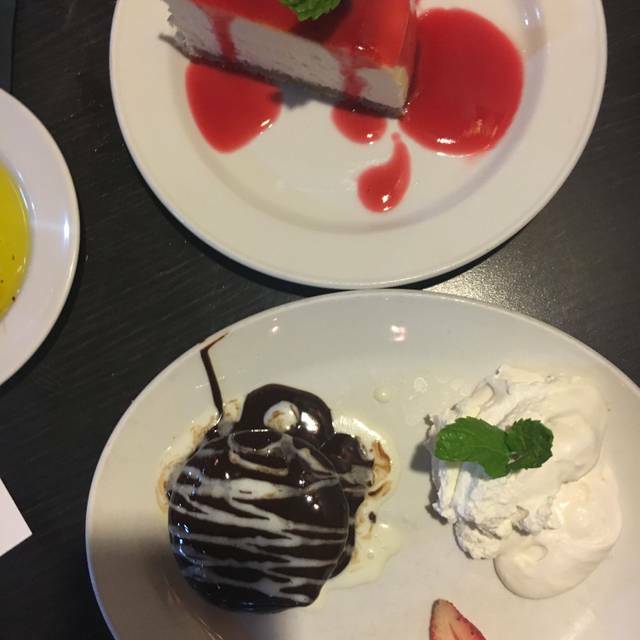 The food was incredibly delicious and the desserts are wow. We feel that all of their wait staff was amazing! I am definitely returning and telling everyone about this place. Glad we made reservations. We got there a little early and we were told that we would be seated in a few minutes. The hostess forgot about us but thankfully we received an alert from Open Table that our table was ready. The service was good and the food was great as usual. Make a reservation for Saturday nights. Perfect dinner for my husband's birthday. They sat us at the table requested and the service was impeccable! We enjoyed a delicious dinner outdoor on patio with great service!